Jens Restemeier (jrestemeier) reassigned T41254: FBX exporter applying incorrect rotation to some bones from Jens Restemeier (jrestemeier) to Bastien Montagne (mont29). Jens Restemeier (jrestemeier) added a comment to T35395: New feature: Add dynamic attributes to fbx export. This was added to the new binary FBX exporter. You'll have to either export your model manually or tweak the Unity export script to use the binary exporter. I'm not sure if it is in the 2.71 release, but it is definitely in the current nightly build. Jens Restemeier (jrestemeier) added a comment to D732: FBX Importer: Allow changes to bone orientation during import, allow ignoring "end" bones added by some modellers. Yes, sorry. My proposal was to implement it first as part of the FBX code so that it can be tested, and evaluate how to best move it into generic code. The reason is that it tries to keep the axis aligned to the original axis, so that animation controls work similar to the original file. This is with "ignore leaf bones". Jens Restemeier (jrestemeier) added a comment to D607: FBX Exporter: Fix space transform on first child, apply to bones and armatures. Jens Restemeier (jrestemeier) updated the diff for D607: FBX Exporter: Fix space transform on first child, apply to bones and armatures. I could offer this change, which unfortunately is on top of D735: FBX Exporter: (Optionally) add leaf bones and change bone orientation. It handles more cases, but may be easier to break by changes. The current code as it is now doesn't work for me at all. Children are off by 90 degree. Parenting to lights or cameras isn't going to work either, baked or not baked, because you apply MAT_CONVERT_* to them and don't correct in children. Jens Restemeier (jrestemeier) updated the diff for D732: FBX Importer: Allow changes to bone orientation during import, allow ignoring "end" bones added by some modellers. I was waiting for your test results, so this just fixes the whitespace problems, adds '''slots''' and changed the debug print function. Yes, I know. That model uses Empties, and from what I understand you don't like the bake to be applied to empties because you removed it several times. Jens Restemeier (jrestemeier) retitled D739: FBX Importer: Bake space transform on import from to FBX Importer: Bake space transform on import. This revision is probably the smallest version that gives the correct result for models required for game development. It doesn't handle all edge cases that the my more complicated version does, but that would probably be too hard to maintain. Jens Restemeier (jrestemeier) retitled D735: FBX Exporter: (Optionally) add leaf bones and change bone orientation from to FBX Exporter: (Optionally) add leaf bones and change bone orientation. Can you get me an FBX file from MotionBuilder? Maya implements bone length with an extra joint at the end of a chain. That's why I added the "ignore leaf bone" option. By the way, I tried what Maya thinks about "Limb" nodes, and they come through the same way as "LimbNode" nodes. The "Size" property is used for the bone head/tail radius. I must say, I'm quite happy with this code, not only because I spent more than a week writing, debugging and testing it. :) I think it is a big step ahead over the limitations of the old importer, and from now on there should really be only minor fixes required. The work on the exporter will be significantly easier and much smaller, mostly keeping track of 1-2 matrices and some debugging, mainly because we know what all the data means and what it is for. Jens Restemeier (jrestemeier) added inline comments to D732: FBX Importer: Allow changes to bone orientation during import, allow ignoring "end" bones added by some modellers. This patch is really complicated, and nearing a lever that I wouldn't want to maintain (as in, if there is a bug, I woudlnt know where to fix or even want to have to dig into this code, it just adds a lot of complexity - but maybe am being unreasonable). Jens Restemeier (jrestemeier) retitled D732: FBX Importer: Allow changes to bone orientation during import, allow ignoring "end" bones added by some modellers from to FBX Importer: Allow changes to bone orientation during import, allow ignoring "end" bones added by some modellers. Jens Restemeier (jrestemeier) added a comment to T41374: FBX: Camera and Lights issues. @Bastien Montagne (mont29), I just tried the files in Unity and got a similar result, i.e. the Blender orientation is 180 degree off from the Maya direction. Both are off 90 degree from the correct direction, but then again Unity doesn't make any attempt to import lights or cameras in the first place. So I guess we have a bug, or we hit some odd compatibility/workaround code path in the FBX SDK. @Bastien Montagne (mont29) : That is possible. I am using a system like that for the importer to fix the bone orientations and I can try that out in the exporter when I make bone orientation work in there. Though the transform stack is specified in the SDK, so there shouldn't be any variation in there. It may be simpler to use local transforms so that matrix decomposition can be used like it is now. I think the pre/post rotations were introduced so that nodes map 1:1 to Maya transforms. The default orientation is specified in the FBX SDK ( http://docs.autodesk.com/FBX/2014/ENU/FBX-SDK-Documentation/ ) , for example for lights: "By default, a FbxLight points along a node's negative Y axis." 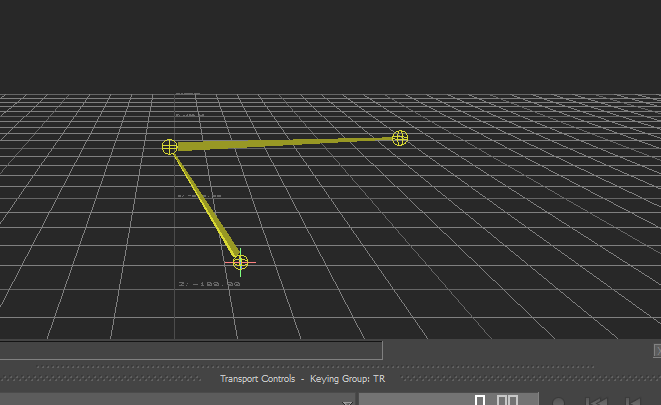 or for a camera "By default, a FbxCamera points in the direction of the node's positive X axis." The expectation is that any 3d package convert from and to this orientation automatically. For example Maya camera and lights point towards negative Z, but it converts when reading or writing FBX. Jens Restemeier (jrestemeier) added a comment to D729: FBX exporter/importer. 2.50448e-06 is very small, probably the result of rounding error. It's normally not a problem. Jens Restemeier (jrestemeier) retitled D729: FBX exporter/importer from to FBX exporter/importer. Jens Restemeier (jrestemeier) added reviewers for D719: mathutils/python : fix for big endian platforms: Bastien Montagne (mont29), Campbell Barton (campbellbarton). Jens Restemeier (jrestemeier) retitled D719: mathutils/python : fix for big endian platforms from to mathutils/python : fix for big endian platforms. Jens Restemeier (jrestemeier) added a comment to T36971: FBX exporter improvements WIP. Yes, this was old stuff against the ascii exporter and they are already in the new binary exporter. Jens Restemeier (jrestemeier) added a comment to T41254: FBX exporter applying incorrect rotation to some bones. No idea... the version used for FBX Viewer originally shows the problem and the version I've got installed on my machine shows it. The problem seems to be related to the FBX SDK (at least version 2013<= and 2015) and animations, but just the skeleton looks fine. Both work fine in Unity3D. The data in the FBX file looks fine, so maybe the SDK just gets confused by something. You would expect this to break the whole model instead of a single bone, though. Do you have a link for "Banzai viewer"? Is it this one: http://bonzaiengine.com/modelviewer.php ? Jens Restemeier (jrestemeier) abandoned D695: FBX Importer: Misc fixes for hangs, errors and asserts. Sorry, I didn't know I could do that myself. Jens Restemeier (jrestemeier) added a comment to D695: FBX Importer: Misc fixes for hangs, errors and asserts. Jens Restemeier (jrestemeier) added inline comments to D695: FBX Importer: Misc fixes for hangs, errors and asserts. Jens Restemeier (jrestemeier) retitled D695: FBX Importer: Misc fixes for hangs, errors and asserts from to FBX Importer: Misc fixes for hangs, errors and asserts. Jens Restemeier (jrestemeier) added a comment to D694: FBX Importer: Handle special case when a node needs to be parented to a posebone. No problem. Ryoko, which application is used to view the FBX file? I think Campbell may have already committed the customprop stuff. Jens Restemeier (jrestemeier) retitled D694: FBX Importer: Handle special case when a node needs to be parented to a posebone from to FBX Importer: Handle special case when a node needs to be parented to a posebone. Jens Restemeier (jrestemeier) added a comment to D691: FBX Importer: Fix for assert when importing a BlendShape with only a single FullWeight item..
Jens Restemeier (jrestemeier) retitled D691: FBX Importer: Fix for assert when importing a BlendShape with only a single FullWeight item. from to FBX Importer: Fix for assert when importing a BlendShape with only a single FullWeight item..
Jens Restemeier (jrestemeier) added a comment to D687: FBX Import: Import user properties. Jens Restemeier (jrestemeier) updated the diff for D687: FBX Import: Import user properties. Jens Restemeier (jrestemeier) added inline comments to D687: FBX Import: Import user properties. Jens Restemeier (jrestemeier) retitled D687: FBX Import: Import user properties from to FBX Import: Import user properties. Jens Restemeier (jrestemeier) added a comment to T41129: Error while exporting .blend Files to Unity. It is a duplicate, have a look at T40907 for a workaround. Jens Restemeier (jrestemeier) added a comment to T39251: FBX Binary Export: bake space transform (change of up axis, scale) into all transforms and vertices instead of only the root transforms. I just looked through that, you don't seem to normalise normals after transformation. The global_matrix may contain a scale value, IIRC. Is that the correct changelist? It seems to be related to another bug. Yes, I think it is the same problem. I was considering if I should delay this patch until after animations are implemented, but I think the earlier it is talked about and tested by other people than me, the better. One thing you most likely want to change is if there is a more efficient way to transform vertices and normals with a matrix. At the moment I'm unpacking the array into Vectors which is probably not the best way, but I'm not familiar enough with the Blender APIs. Jens Restemeier (jrestemeier) assigned T39251: FBX Binary Export: bake space transform (change of up axis, scale) into all transforms and vertices instead of only the root transforms to Bastien Montagne (mont29). Jens Restemeier (jrestemeier) reopened T35395: New feature: Add dynamic attributes to fbx export as "Open". I am missing this feature from Blender 2.69. Was there a problem with it or should I resubmit a patch against the new fbx exporter script?